Chilasow has made the right noise in the last few days. 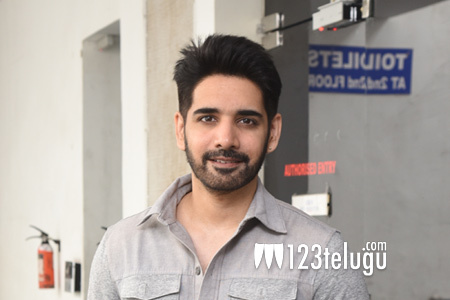 As the film is ready for the release this Friday, we caught up with Sushanth for a detailed interview. Here is the transcript. What made you shift gears in your career? Even I was fed up with doing the same old regular mass movies and wanted to get away and do fresh movies which suit my age. Unless and until I do such films, how will I know that the audience will like me or not? That is the reason, I made up my mind and readily agreed to do a Chilasow as soon as Rahul narrated it to me. Why didn’t you make this film in your home banner? I wanted to be independent and take my own risks for this film. That is the reason both me and Rahul decided to go for a new banner and one of my friends made things possible and got producers on board. But once the film completed Chay saw the film and liked it and brought Annapurna as co-producers for the project. What was the best compliment you received from Nagarjuna? After seeing the film, Nag uncle called up my mom and spoke highly of my choice and how I performed in the film. That was the biggest compliment for me to date after starting the film. What new can we see from you in this film? This will be a fresh start for me as I role in the film will be quite real for my off-screen character as well. There is no melodrama and whatever is shown has been kept real. I have used no makeup and performed in a very subtle manner like a boy next door which is very new for me. How happy are with the film’s output? I am very glad that I did this film. Chilasow is a film, which everyone in the family can watch it happily. Personally, for me, I can show this film to all my friends in the US and to those who don’t speak the language as the connectivity factor is very good in the film.